Whoop, the startup that built a wearable loved by professional athletes, is having its tracking skills put to use in a health study. The startup's device, which tracks a bunch of biometric data including heart rate, is being used as part of a study that aims to explore sleep for patients with Type 1 diabetes. The four-week study is being conducted by health data company Evidation Health and diabetes data provider called Tidepool. It will use a series of devices that include the Whoop, Dexcom's continuous glucose monitor and Emfit's sleep monitor to analyse how overnight blood sugar levels affect next-day behavior. Whether that's heart rate, sleep patterns or activity. Whoop's software is currently able to offer data points on recovery time, strain and sleep with a Sleep Coach that's designed to help athletes recover faster and optimize peak performance. Some of these insights and data points clearly have scope to be used in the serious health tracking space and it's good to see the Boston startup wants to play its part away from the court and the football field. This year Whoop launched a subscription service that gives access to both the Whoop Strap and data services for $30 a month. That's after it added Android phone support for its tracker late last year to make it more widely available for people interested in its abilities. 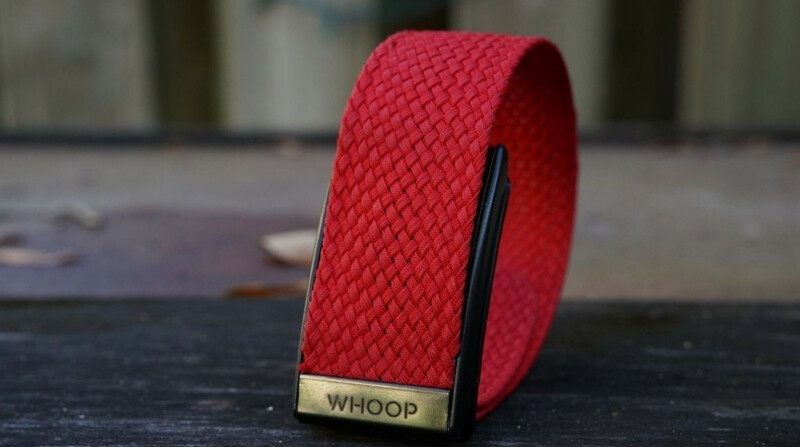 Whoop is just the latest in a line of wearable tech companies that are beginning to play in the health space and it surely won't be the last company we hear that wants to be involved.